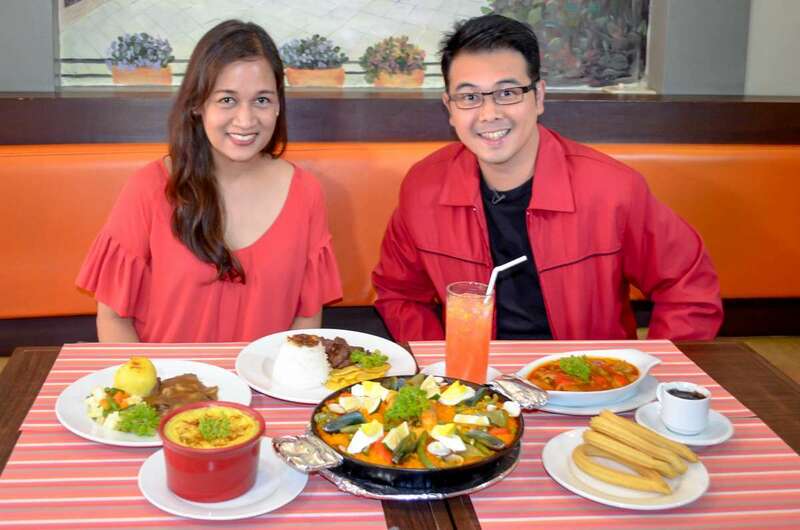 If you’re driving along Maginhawa Street, which is a destination for gastronomic adventure, Sancho Churreria Manila is a must for awesome Spanish cuisine. 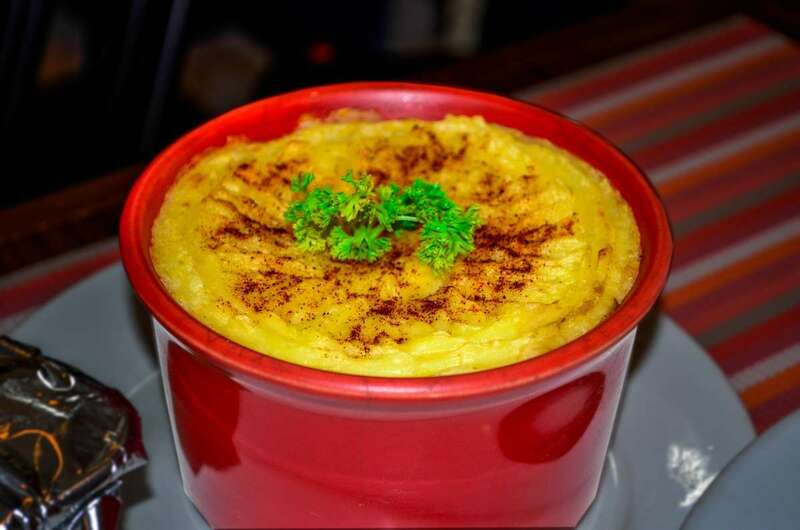 The modest size of the place cannot and should not reflect the restaurant’s dishes, which are definitely big in flavors. This is where I had the best, and I mean the best, Steak and Mushroom Pot Pie. I suggest you call the restaurant first to reserve because, sometimes, they run out of stock. It’s that good. 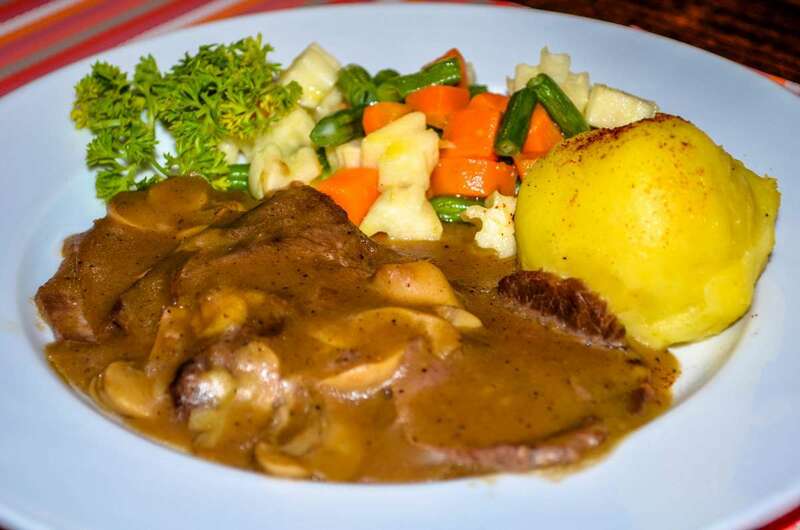 It has steak slices in the pie with rich mushroom sauce and mashed potato. 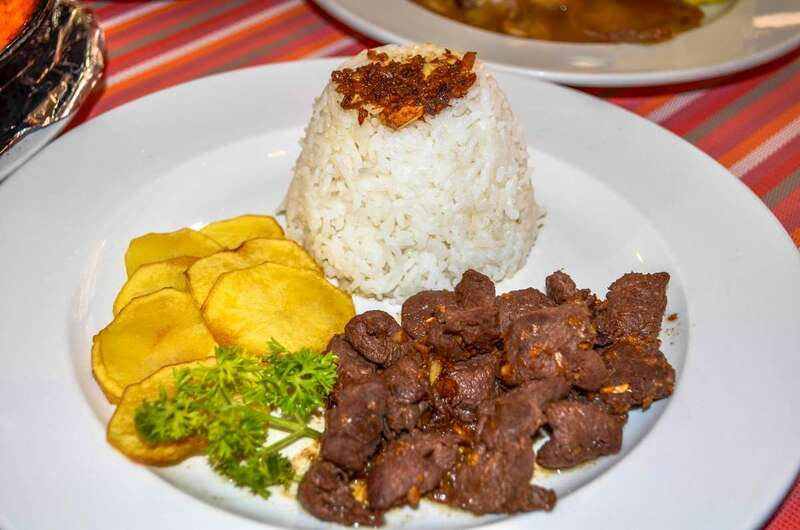 Another must in this restaurant is their tender, tasty, and garlicky Salpicao. You can have this as an appetizer or as a main meal with rice or potatoes. I love ox tongue and their Lengua Estofada’s prepared very well. It’s very tender. I enjoyed this so much with rice. For dessert, you can try their famous Churros Con Chocolate. 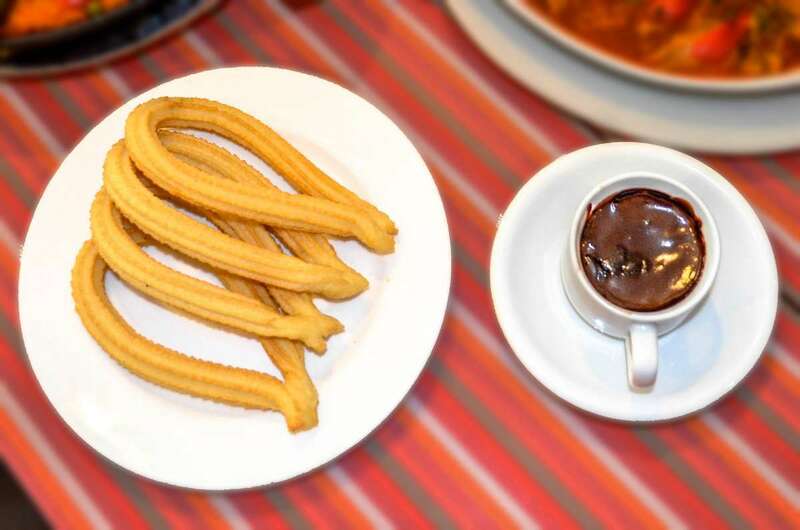 Dip the churros in the hot chocolate and close your eyes because it just might remind you of something familiar. It tasted a lot like the churros from Dulcinea. No surprise, because the owner and some of the staff used to work with Dulcinea. 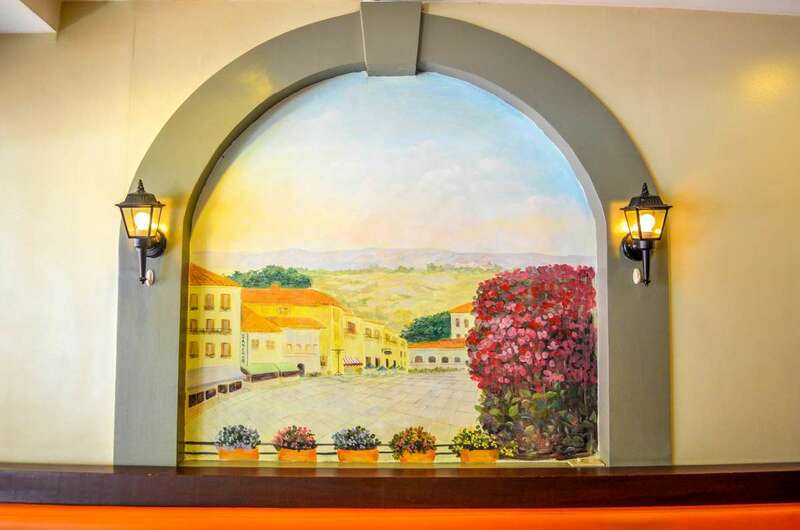 The place can comfortably accommodate around 20 guests, since the restaurant is always full, especially during dinner, I suggest you make table reservations. The name Sancho is derived from a character of the famous novel “Don Quixote de la Mancha”. Sancho Panza is the ever faithful squire of Don Quixote. 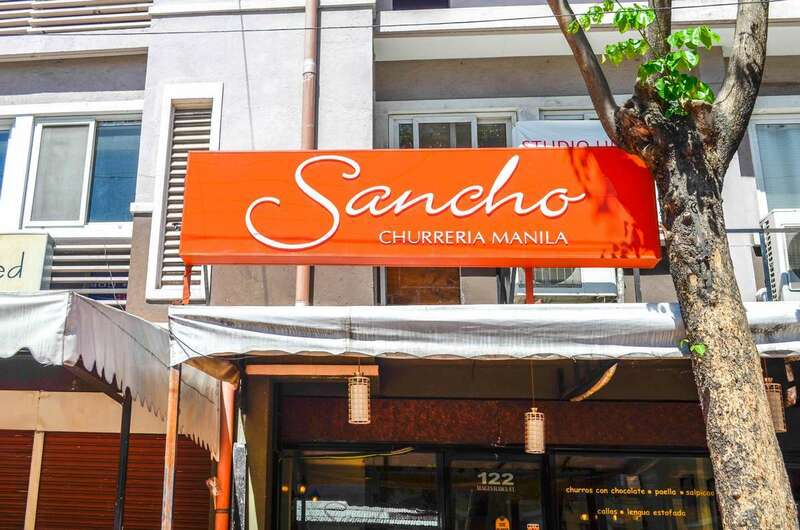 The name Sancho very aptly represents the restaurant because Sancho is a fat and jolly character who has a very voracious appetite. And to add to that, his family name, Panza, means belly (stomach). Churreria refers to a place or establishment that serves churros, a Spanish delicacy. 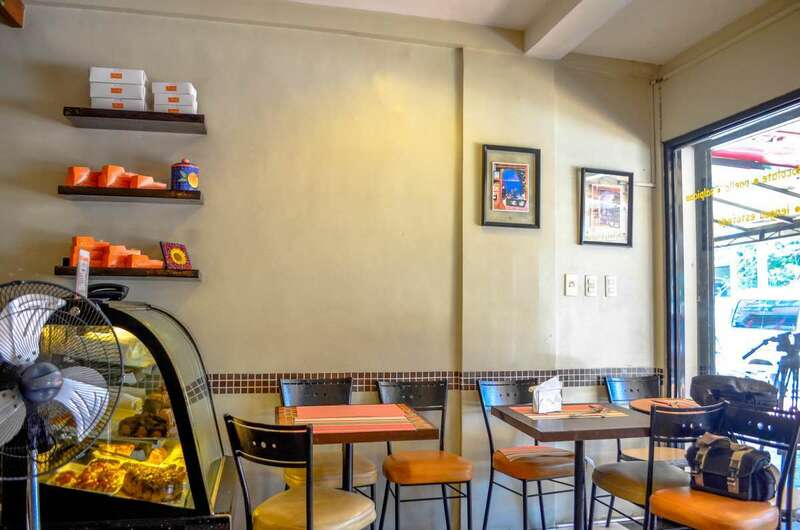 Thus the additional name Churreria Manila, an establishment in Manila that serves churros. Disclaimer: Prices may change without prior notice.